Published by almostaghost on January 4, 2012 in almostaghost and review. 0 Comments Tags: 2011, 2011 countdown, David Rawlings, Gillian Welch, Nashville, Tennessee. So 2011 was kind of an odd musical year for me. 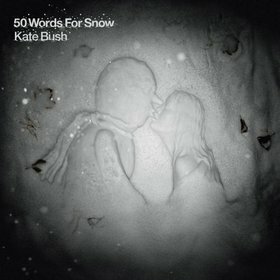 A lot of my ALL-TIME favorite artists released new music, even relatively reclusive ones like Tom Waits (7 years since last album), Kate Bush (6), Radiohead (4), PJ Harvey (4), and Gillian Welch (8). I mean, getting one album from one of them would be enough, but all of them?! It was exciting! When I’m rating and reviewing, I try my best to not compare an artist’s new album to their older work. I don’t always succeed at that, but it’s my goal, and I think makes my reviews more readable. It is one of my rules I follow when writing these things. But sometimes, with some of my favorites–who I know so well and have been following for so long–it is tough rule to follow. How can I not, even subliminally, compare to Kid A? And when it came down to it, as much as I liked so so so many albums this year, there were not many where I liked an artist’s 2011 album more than my preferred favorites of their older work. I mean, I love the new Kate Bush and Radiohead albums–but more than their classics? In all honesty, probably not. That’s not a knock, or a claim they’re slipping, just tastes. And while I love taking a patient view of a career over time, frankly, the excitement before a release kept ending too soon. Except for Gillian Welch. Gillian Welch! And David Rawlings! 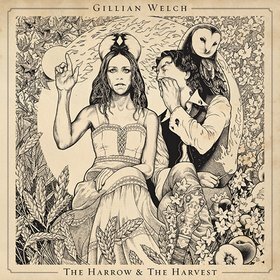 Their new album, The Harrow & The Harvest, is every bit the classic, and THE masterpiece by anyone in 2011. The authenticity of her old-time songwriting has been completely absorbed, as she turned inward to produce an intimate and harrowing record about the aftermath of blues, sin, heartbreak temptation. Dark, yes, but stunning nonetheless. A series of three songs (“The Way It Will Be” / “The Way It Goes” / “The Way The Whole Thing Ends”) also turn on this bluesy existentialism. “The way you made it, that’s the way it will be,” she whispers sadly and a bit confused. “Did you miss my gentle touch? Did I hurt you very much? That’s the way it goes,” she sings, flipping the script a bit. The sadness is everywhere, and this existence is explored, over and over again, as inevitable. Musically, Gillian Welch and David Rawlings (one of my favorite guitarists ever) kind of fall into their own little pocket between country, folk, bluegrass and blues. Rarely are the songs more than two voices and two acoustic guitars, maybe a banjo or harmonica if needed. A couple of songs here have a little upbeat bluegrassness to them, but most are calmer and more laidback. The two of them blend together, vocally, guitarly, everything, into one. This album displays that chemistry better than any of their others, easy. In the past, they have expanded their sound a little bit, but here they’ve got it down to just the essentials, nothing extra needed. This kind of intimate recording/performance, combined with the sadness and blues of the lyrics, make the whole thing feel like a journey on a psychological landscape. I have no idea why it took Welch and Rawlings eight years to get to this album, but the sound they settled on here is the perfect distillation of what they do better than anyone: intimate, affecting, real, beautiful, stunning. Published by almostaghost on January 3, 2012 in almostaghost and review. 0 Comments Tags: 2011, 2011 countdown, Brooklyn, New York, The Antlers. 1. Burst Apart is an album of songs about destructive love and disturbing dreams. It is creepy, strange and hilarious. 2. The Antlers have turned into quite an adept band, able to follow these songs where they need to go. From quiet reflection to dramatic moodiness to hypnotic to intense, they kind of do it all here. This is the first album like that for them, and they can go anywhere now. 4. Burst Apart was a big grower for me, as it slowly rose all the way up my rankings to #2 here. Every time I listened, I liked it more and more and I just kept bumping it up. 5. In many instances, these were the catchiest songs I heard all year. 6. Catchy, yes. But slightly odd and off-putting too. (See, #3.) Other lines: “Every time we speak / You are spitting in my mouth” and “I’m a bad amputee with no phantom memory” and “they want to conquer you, abandon you / I want to burden you, belong to you.” I mean, it is not like he crosses a line into disturbing, but the metaphors are just enough off-center to make you uncomfortable. And it’s GREAT. 9. The drama in the songs is also exciting. 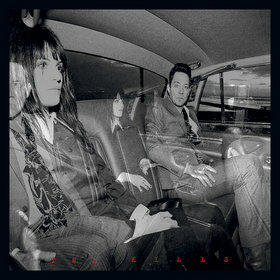 The nervous drums on “Parentheses” provide a base, on which the singer joins, and then the bass. It all feels so natural, as well as expertly done. You get a similar feel on most songs: a sense of ease but also perfection, the sense that these songs are what they must be. Published by almostaghost on January 3, 2012 in almostaghost and review. 0 Comments Tags: 2011, 2011 countdown, England, Oxford, Radiohead. In the first season of Mad Men, Don Draper tells a room of hippies that the “universe is indifferent.” This bums them out, but it does get to the heart of Don Draper — this idea is how and why he feels free. (Sorry if you don’t know the character.) 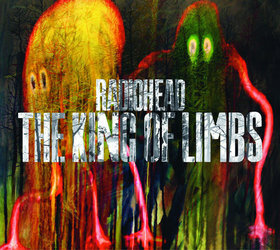 Similarly, on The King Of Limbs, Radiohead’s universe is a tumultuous one, and probably also an indifferent one. From within that tumult, Thom Yorke, as always, is trying to feel free. The first few tracks depict the universe. Oceans bloom, jellyfish float by, the universe sighs. A no-good magpie steals memories, magic, melodies. “Obligations / complications / routines and schedules / drag and kill you,” Yorke sings on the dark “Little By Little.” These are hardly unusual depictions for Yorke, who regularly writes of the havoc in the universe in his songs, from car crashes to ice ages to spinning plates to weird fishes and worms. Metaphors? Sure. But also a world in constant upheaval. Musically, of course, Radiohead keeps expanding their sound. My understanding from following them for so many years now is that after every album, they nearly break-up, and then totally rebuild how they create music. The end result may stay the same (killer songs), but the process evolves. 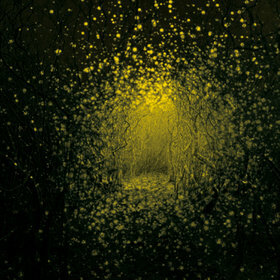 The King Of Limbs seems to me to borrow a lot more from electronic music (that gorgeous “cat is away” break in “Lotus Flower,” the creative drums/percussion on “Separator” and “Bloom,” the vocal loops of “Give Up The Ghost,” etc.). In some ways, this is the Radiohead album that feels less like a band performance than ever before; but perhaps that was in reaction to their last album, which totally felt like that. Published by almostaghost on December 31, 2011 in almostaghost and review. 0 Comments Tags: 2011, 2011 countdown, Pennsylvania, Philadelphia, The War On Drugs. 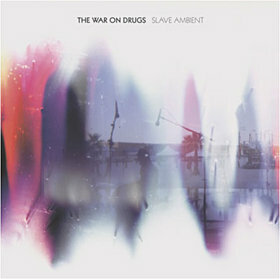 I have read a number of reviews and commentaries around the internetz about Slave Ambient. While I kind of find myself disagreeing with a lot of the comparisons (Dylan, what? ), many refer to the uplifting sound of their traditional American rock roots. They are clearly meant for a long car ride, turned up loud, sunset behind you. The reviews often leave it at that, though, and not The War On Drugs’ unique stylings. Despite that weariness though, The War On Drugs have a quite uplifting sound. I think of it in terms of a Woody Guthrie, who also wrote tired-of-the-world songs that lifted you up. But The War On Drugs do it impressively without any choruses. Instead they hook you with the big chord changes, well-timed woohoos!, hypnotic bright drums. And they make amazing use of the ambient instrumental tracks in between songs. While these tracks do add space between some of the more similarly-paced songs on the album, they also drive the whole thing. “Come To The City,” for instance, is a memorable song, but made even more so by “The Animator,” a 2-minute intro drone that brings “The City” to life. These ambient pieces, I assume, give the album its name, but more importantly make Slave Ambient cohere. While The War On Drugs are ranked #6 here on my list, the actual ordering is not that precious. I’ve only listened to a couple of albums more often than this one this year. While “number of listens” is not my main criteria in ranking these, it does indicate that, man, Slave Ambient is something special. Published by almostaghost on December 31, 2011 in almostaghost and review. 0 Comments Tags: 2011, 2011 countdown, Bon Iver, Brooklyn, Lia Ices, New York. 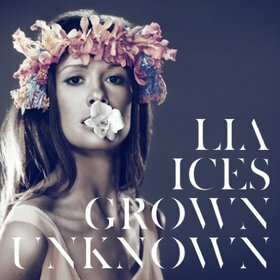 Much of what I just wrote about Bon Iver, Bon Iver in my last review also applies to Lie Ices’ Grown Unknown. I guess I love this style! Like Bon Iver, Ices has made a patient, rich album that is also mysterious and intriguing. I usually try not to make random comparisons, but this one is apt, as Justin Vernon sings back-up on one of the songs. So, I like to think of these two albums as companions and complements. Unlike Bon Iver, Lia Ices is a bit more mystical and mythical in her lyrics. “Love Is Won” appears to be about discovering forever/love as a “tiny jewel in the tiger mouth,” and strriving to “pounce so I can tame the cat / so I can find the myth and let forever out.” “Daphne” tells the story of the nymph Daphne who turned into a tree instead of surrendering herself to Apollo. A particularly amazing song, “Daphne” begins delicately, like you would imagine a Lia Ices song to be: her quiet and close voice over guitar and violins. Midway through, the song takes a turn, becoming heavier and more confident. The music parallels the story. The more I listen to Grown Unknown, the more I am impressed with Ices’ voice. It never falls into cliched fragility or breathlessness, always maintaining strength. This makes these songs all the more memorable, as she keeps charge of their oft-changing nature. “Ice Wine,” as only her vocals and a string quartet, could have been insufferable with the wrong voice, but Lia Ices keeps it together, and fascinating. “I hate to leave you like the eyelash that flew,” is one of the few lines that can be distinguished: it is one of her more mysterious and dark songs. Other tracks also borrow a lot from classical music arranging, but always to add richness and texture (“New Myth” especially). There were quite a few of these individual, creative, avant-garde female pop singers this year, from Anna Calvi to PJ Harvey to Kate Bush to name a few. Each were stunning in their own way, and Lia Ices was one of my favorites. Grown Unknown is bursting with musical ideas — folky songs, string quartet movements, seductive vocals, orchestrated stories — yet it is her voice that ties all these ideas together so brilliantly. Published by almostaghost on December 29, 2011 in almostaghost and review. 0 Comments Tags: 2011, 2011 countdown, Bon Iver, Eau Claire, Wisconsin. The story behind Bon Iver’s first album, For Emma, Forever Ago was relatively famous. Justin Vernon withdrew into a cabin in the Wisconsin woods and recorded a sparse, isolated acoustic record. 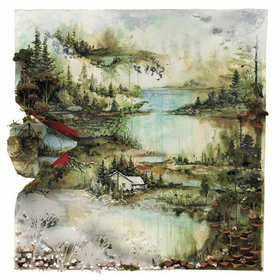 His second album, Bon Iver, Bon Iver (the actual title), is an artistic reaction to that. The album cover is a great representation. A house sits there in the center, but instead of it alone, the view expands, revealing the world around it. The titles (and the title) of Bon Iver, Bon Iver are all meant to refer to places, albeit sometimes unreal ones (“Perth,” “Minnesota, WI,” “Michicant,” “Wash.,” “Calgary,” etc.). There’s more to the Bon Iver world now than just a lonesome cabin. And musically, too, not just thematically. Bon Iver, Bon Iver feels more worldly and full, while maintaining Bon Iver’s trademark shimmer: seductive melodies, abstract lyrics, falsettos. “Perth” is a surprisingly complex recording, using a military drumbeat and guitars to bury all sorts of sounds that just barely leak out. 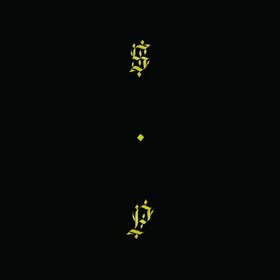 The album closes with “Beth/Rest,” which also clearly indicates that Bon Iver is making some of the bravest music around. He fully embraces a normally-maligned ’80s soft rock sound, and somehow turns it into a moody reflection closing this masterpiece of an album. I first saw Bon Iver live a few years back when he was just becoming more known after his debut record, and I thought, “with his voice, guitar-playing, songwriting, this guy should be a superstar!” Bon Iver, Bon Iver does nothing to change that; if you like your music beautiful and rich and with feeling, nobody does it better than Justin Vernon. Published by almostaghost on December 23, 2011 in almostaghost and review. 0 Comments Tags: 2011, 2011 countdown, Digable Planets, Seattle, Shabazz Palaces, Washington.